Critically acclaimed and commercially loved in India, Hindi Medium is all set to hit the 200-crore mark at the Chinese Box Office! The Irrfan and Sabah Qamar-starrer, released on April 4, 2018 across approximately 8000 screens in China and has collected Rs 185 crore so far and continues to grow its box office revenue. 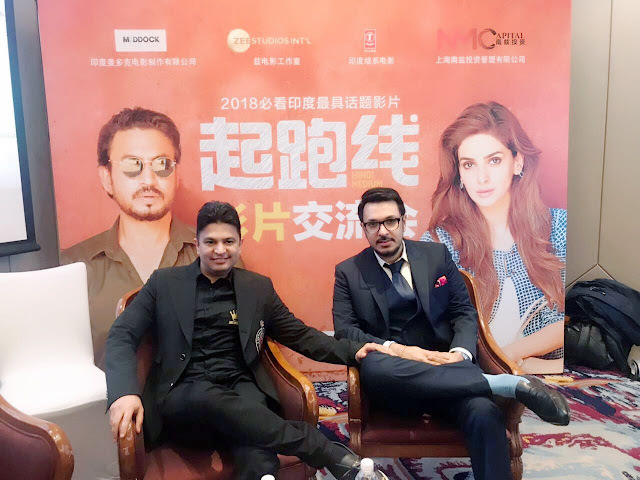 Directed by Saket Chaudhary and produced by Bhushan Kumar and Dinesh Vijan, Hindi Medium became the third Bollywood film of 2017 to find a commercial theatrical release in China. The film’s opening day in China surpassed collections of Dangal and Bajrangi Bhaijaan. The quirky social comment on the education system became the second biggest Bollywood opener of all time after Secret Superstar. Overwhelmed with this response, the producers recently visited the county to interact and thank the audiences for all the love. Hindi Medium’s achievement in China truly celebrates the universal language of film, and the producers hope that Indian films continue to make a mark internationally.